Dave Eggers grew up near Chicago and graduated from the University of Illinois at Urbana-Champaign. He is the founder of McSweeney’s, an independent publishing house in San Francisco that produces books, a quarterly journal of new writing (McSweeney’s Quarterly Concern), and a monthly magazine, The Believer. McSweeney’s publishes Voice of Witness, a nonprofit book series that uses oral history to illuminate human rights crises around the world. In 2002, he cofounded 826 Valencia, a nonprofit youth writing and tutoring center in San Francisco’s Mission District. Sister centers have since opened in seven other American cities under the umbrella of 826 National, and like-minded centers have opened in Dublin, London, Copenhagen, Stockholm, and Birmingham, Alabama, among other locations. His work has been nominated for the National Book Award, the Pulitzer Prize, and the National Book Critics Circle Award, and has won the Dayton Literary Peace Prize, France’s Prix Médicis, Germany’s Albatross Prize, the National Magazine Award, and the American Book Award. Eggers lives in Northern California with his family. 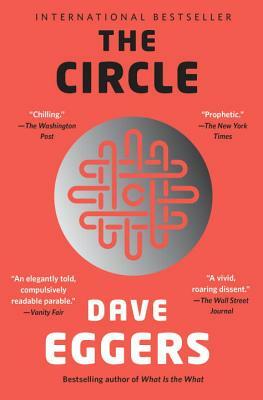 “Eggers's writing is so fluent, his ventriloquism of tech-world dialect so light, his denouement so enjoyably inevitable"